Please pardon our dust as we renovate our pool through April 30 2019 and our hotel and guest rooms through May 31 2019. Thank you for your patience and understanding while we add additional comfort and style to enhance your experience at our hotel. This hotel is 100 pct non-smoking. Welcome to the *Horse Capital of the World. 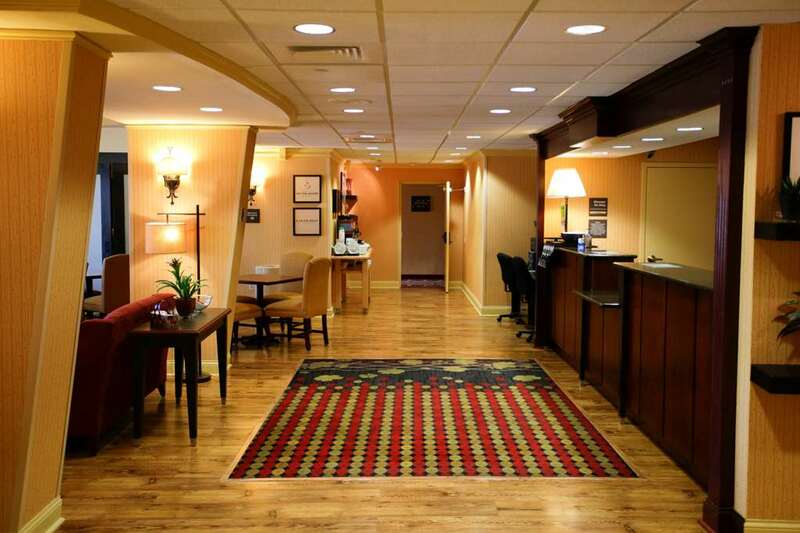 * The Hampton Inn I-75 Lexington/Hamburg Area hotel is conveniently located at the I-75 and I-64 interchange in the heart of Kentucky Bluegrass Country. The hotel is within minutes of downtown Lexington the University of Kentucky Rupp Arena and Kroger Field home of the Kentucky Wildcats. Area attractions include Hamburg Place for shopping and dining the Keeneland Race Course The Kentucky Horse Park and multiple championship horse farms and training facilities. Hampton Inn I-75 Lexington/Hamburg Area features guest rooms with amenities including a coffeemaker iron and ironing board hair dryer and internet. We offer free local calls and expanded cable TV with a movie channel. Take advantage of the valet laundry service available Monday through Friday and utilize the meeting facilities for a nominal fee. After a busy day relax in our heated indoor pool or work out in the 24-hour fitness center.